My son ‘legs’ is not quite three yet, so he is a bit young to be reading this book on his own, but was very happy for me to read it to him! 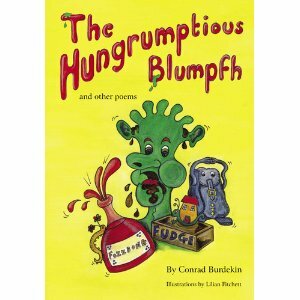 He often repeated the words and questioned what was happening, he loved the made up words in the Hungrumptious blumf too!! The pictures are very cute and really bring out the poems! I know all poems don’t have to rhyme but in this book’s case the rhyming is awesome and really added to the fun for my little guy! If you want to find out more about this book and see more reviews (including a little video one from me), head over to Izziwizzi Kids ! Legs and I give the ‘grumptious blups’ a big thumbs up! Perfect for older kids and fun for younger ones too! This is a fantastic review. Thanks for taking the time and the link to Izziwizzi Kids. Hope you enjoy many more years of poems.